Why were we so obsessed with Tamagotchis? The so-called ‘digital pets’ first appeared in Japan in 1996, and soon spread across the world. Before Pokemon, before Digimon, before The Sims, they supplied a little LCD blob for you to look after. Encased in a little plastic egg, the blob-thing would bleat and demand digital food, and could also be praised, and scolded. And if you forgot to look at it for a day or two, it would die, and you’d feel bad and pray for its digital soul. That was the extent of the gameplay, but somehow, we were obsessed with them. You’d take them to school and then they’d be confiscated, and then die in your geography teacher’s draw, and you’d call the teacher a murderer. Japanese toy manufacturer Bandai have continued to release new versions of the Tamagotchi ever since their first release, in various new designs and with new features – but now they are going back to the classic original. The new units will have the same packaging as they did back in the late 1990s, and come in sixteen different colours – eight vintage designs, and eight new ones. 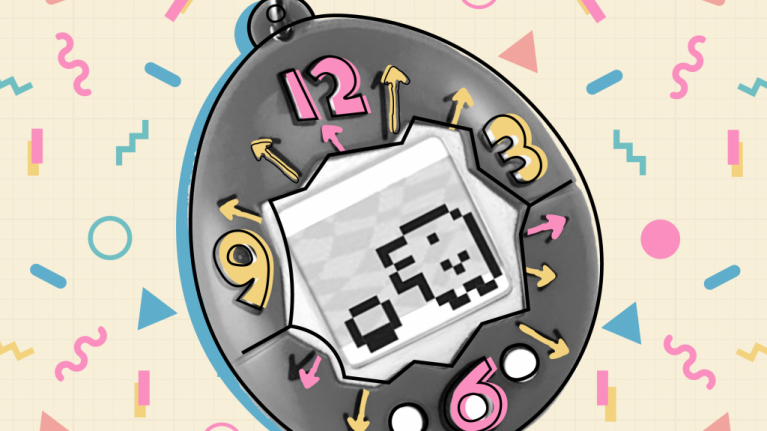 Both Generation One and Generation Two versions of the device will be available – Gen One units having the character game where you have to guess your pet’s next move, and the later units featuring a number guessing game. The new, old Tamagotchis will available to pre-order from September 30th, and cost $30 in the US (no word on a UK price yet). Just don't take it to school, ok?